Public Accounts Committee (PAC) was told on Tuesday that 170 employees of the Oil and Gas Development Company Limited (OGDCL) had been found guilty of submitting fake or forged documents during scrutiny, DawnNews reported. Audit officials, during a briefing on the audit report of the petroleum ministry, told the committee that out of the total 170 employees who were found guilty, five were sent on forced retirement with complete incentives, 18 were demoted to lower grades, whereas, 80 employees were facing cases in the court. 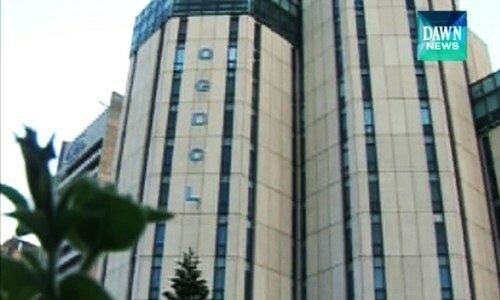 The committee was informed that the documents of 15,000 OGDCL employees were scrutinised. The managing director of the company told the committee that some of the employees had forged their documents altering their dates of birth, grades or divisions in their educational documents. In his initial response to the report, PAC Chairman Khursheed Shah opted to sweep the matter under the carpet, questioning the audit officials why they were pushing the matters of employees, but later deferred the para after the officials opposed him. The audit officials said that ignoring the matter would send a wrong signal to other institutions. Sardar Ashiq Gopang, a committee member, said that criminal cases should be filed against these employees. The committee was also informed that the national exchequer had suffered a loss of Rs370 million in connection with the annual examination of CNG stations. According to the report presented by audit officials, the loss was incurred due to the negligence of Oil and Gas Regulatory Authority. Subsequently, the PAC directed the government to submit a complete record of the CNG sector. Shah said that the circular debt has hit a mark of Rs500 billion and that new government will have to pay Rs500bn to clear the circular debt.